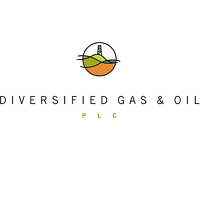 Diversified Gas & Oil PLC (LON:DGOC), the US based gas and oil producer with a focus on the Appalachian Basin, has today announced its interim results for the six-month period ended 30 June 2018. * figures have been restated to reflect the revisions for operator revenue, cost of sales and administrative expenses. Operator revenue of $641k has been reclassified as reductions in operator expenses included in cost of sales for the six months to 30 June 2017. This represents operator expenses recharged to and recovered from holders of working interests. The first half of 2018 saw DGO accelerate the speed of its growth through a series of transformative events. Although the Half Year Results tell the story of dramatic growth in the period, they do not reflect the scale of DGO’s current operational footprint and financial profile, following the completion of two major acquisitions in the second quarter, and yet another game-changing transaction that made DGO one of the largest producers by volume, listed in London. The focus for the business throughout the period has been on positioning the Company to grow production, cashflow and EBITDA margins, all with a view to generating long-term value for its shareholders through capital appreciation and a competitive dividend yield. As highlighted by these results, DGO has been successful in every measure and is well placed to demonstrate a step-change in all key metrics as it benefits from its recently expanded operational footprint and associated operating efficiencies. The Board is pleased to announce a dividend for the second quarter of 2.8 cents per share, payable on 19 December 2018 to those shareholders on the Company’s register on 30 November 2018. This represents an increase of 62 per cent over the 2018 Q1 dividend of 1.725 cents. Together these dividends are an increase of 128 per cent over the first half of 2017. Throughout the period, the Company continued to effectively implement its growth strategy by leveraging its highly visible growth profile within both the Appalachian Basin and the Capital Markets to capitalise on the acquisition opportunities created by often larger, drilling-oriented companies wishing to divest of non-core assets, particularly within its focus region of Appalachia. DGO has cemented its position as the leading consolidator for mature, cash-flowing assets in the region to become the largest producer from conventional assets in the Appalachian Basin. The Company has successfully leveraged its established dividend-paying investment case and track record for closing value-creating acquisitions to access the capital required to continue targeting sizeable transactions through a combination of new equity and debt. In January, DGO announced the nearly simultaneous and highly complementary acquisitions of Alliance Petroleum for $80.7m and certain producing assets from CNX for $89.3m, which it funded through a placing raising gross proceeds of $189m. These transactions took net production to over 26 kboepd on a historical pro forma basis, an increase of 170% from year-end 2017. Even more transformative still was the $575m acquisition of assets from EQT Corporation announced just prior to the period-end, which again more than doubled the already elevated production levels and increased DGO’s PDP Reserves to 393 mmboe. The Company funded this transaction, which was immediately accretive to cash and earnings, through a placing which raised $250m, and with low-cost funding from its existing credit facility, which was doubled to $1 billion with a $600m borrowing base. After the completion of the EQT acquisition in July, DGO’s current net production of approximately 60 kboepd has made it the largest producer on AIM by some margin and one of the largest independent producers in terms of volumes quoted in London. Demonstrating the value creating nature of the transaction, DGO’s declared dividend for the second quarter of 2018 is 62% higher than its previous first quarter dividend, and is compelling evidence of its commitment to its dividend policy to provide robust income for shareholders. The EQT acquisition also included more than 6,400 miles of gathering pipe, incorporating some 59 compression stations. This acquisition enhanced the economics of the Company’s production in the region and will form a basis from which to develop the Company’s mid-stream operations. The opportunity to acquire complementary and operationally compatible assets in the Appalachian Basin from Alliance and CNX was compelling. Building on DGO’s enhanced experience of completing the acquisition of Titan the previous year, our team quickly set about integrating and optimising these newly acquired assets. The focus throughout the integration process has been to further realise the financial and operating benefits of enlarged scale – elements central to DGO’s investment strategy. The integration of these assets, acquired in March 2018, was facilitated by the high-quality teams that came with the respective acquisitions, particularly the Alliance team that included a number of talented corporate support personnel including accounting, treasury and land personnel. By taking on a combination of experienced senior management and highly skilled field workers with in-depth knowledge of the assets, DGO has been able to identify and prioritise the areas of integration that maximise synergies and optimise production. In addition to maintaining and increasing production from existing wells through workover initiatives, the operations team has successfully returned wells into production, many of which came within the Alliance and CNX packages. Returning these previously unproductive wells to production has the dual benefit of partially offsetting overall natural decline rates, whilst also removing the wells from decommissioning. Over the last 18 months, DGO has brought over 500 wells back into production across its expanded acreage, resulting in prolonged production and deferred Plugging & Abandonment (“P&A”) liabilities. The topic of decommissioning has always been a key consideration for DGO given the mature asset focus of the business. The issue has increased in relevance as the Company has expanded its acreage and therefore the scale of future liabilities. The State regulatory bodies typically establish the requirements around P&A liabilities, and DGO maintains constructive dialogue with those relevant authorities to ensure compliance and to agree on mutually beneficial long-term plugging programmes over the life of DGO’s diverse portfolio. The cost of plugging activities varies according to the depth of a well. Over 98% of DGO’s well portfolio will be at the lower end of the range at around $25k per well. The Company continually reviews ways in which plugging costs can be reduced further and is likely to expand its internal P&A capabilities to minimise the role of third party vendors whose work inherently carries its own profit margins, an action that is expected to further reduce the average plugging costs. In line with DGO’s approach to risk mitigation and visibility on key financial metrics, DGO is actively pursuing agreements with state authorities in the states in which it operates. In this regard, the Company can budget accordingly for the long-term costs and logistical efforts associated with plugging wells, with costs representing a fraction of the annual earnings generated by the portfolio. Of the more than 50,000 wells in the current portfolio, we expect to plug fewer than 2,000 wells over the next 15 years, with the vast majority producing for many decades based on the low natural decline profile of the wells comprising our portfolio. The completion of the acquisition of assets from EQT Corporation in July represented a material step change in DGO’s operating footprint and financial profile. This transaction gives DGO unparalleled scale in the conventional gas space in the Appalachian Basin, an enhanced exposure to liquids, and an expansive wholly owned midstream infrastructure. The upstream assets are consistent with the wider portfolio profile in terms of long well-life (average 50 years) and low decline rates of around 4% to 7% per annum. The midstream assets provide DGO with its initial ownership of gathering systems that span a significant portion of its Kentucky acreage position and eliminate a meaningful portion of third party gathering expenses. Importantly, they also provide DGO with significant takeaway capacity to multiple end markets and processing capacity to support both existing and future potential development across the portfolio. For example, the ability to move a significant portion of its Kentucky natural gas production to a local liquids processing plant allows the Company to realize the economics of its natural gas liquids, providing an estimated net 56% uplift in the realized price it receives for this production. It is this type of value-creating element of the acquisition that is driving DGO’s adjusted EBITDA margins from approximately 40% to approximately 60%. As with previous acquisitions, DGO has assumed related operating personnel to expedite integration of these assets to realize these higher margins. The EQT acquisition represented a continuation of DGO’s track record to source, progress and complete value accretive acquisitions. The Company’s purchase price for the assets represents an attractive valuation multiple of just 3.5x annual operating cash flow, which is consistent with DGO’s recent track record for acquisitions and is particularly impressive for an acquisition of this size and including midstream assets. As DGO successfully integrates the assets, the Company expects to demonstrate a further reduction in its operating costs, which will further enhance its EBITDA margins. Diversified Gas & Oil plc continues to progress from one position of strength to another, and is already unrecognisable from the company that floated on AIM just over 18 months ago. The Company has achieved a significant level of growth, surpassing market forecasts through a series of high quality, earnings accretive acquisitions. The window for further M&A opportunities in the Appalachian Basin remains open, and the Company continues to review value accretive acquisitions in line with its proven growth strategy. With its growing list of successfully completed, sizeable acquisitions in the region, DGO has access to an increasingly robust pipeline of growth opportunities to consider. The Board remains steadfast in its focus to only consider new opportunities that complement and enhance the existing business and often passes on growth opportunities not suited to the Company’s current asset portfolio. Importantly, DGO benefits from a strong balance sheet, liquidity and the demonstrated ability to move quickly on large packages of exceptional assets should it identify compelling opportunities. The long-term outlook for natural gas prices in the region remains stable with investments being made in expanded take-away capacity coming online in the region providing a catalyst for higher realized prices as basin basis differential begins to decline. Consistent with its commitment to always protect its cash flow and the underlying dividend funded by its stable production base, DGO will continue to implement its hedging strategy, whilst also retaining upside exposure on a portion of its production to realise pricing increases. Presently, DGO is intensely focused on the complete and efficient integration of assets acquired from EQT, and expects the addition of these assets and the achieved operating synergies to enhance revenue, cashflow and EBITDA margins whilst reducing operating costs. Overall, DGO has created long-term value for shareholders by stewarding its capital to enlarge a strong platform of stable, cashflow producing assets, and is well positioned to deliver a materially stronger second half as it realises the benefits of the transformative acquisitions completed in the first seven months of 2018.